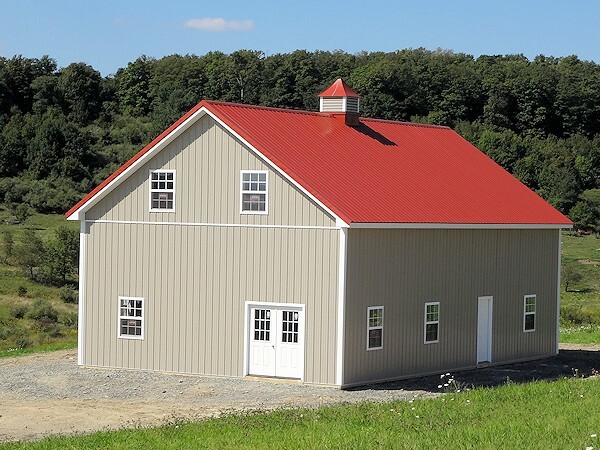 This 30'x50'x14' Barn was built to provide a temporary housing. 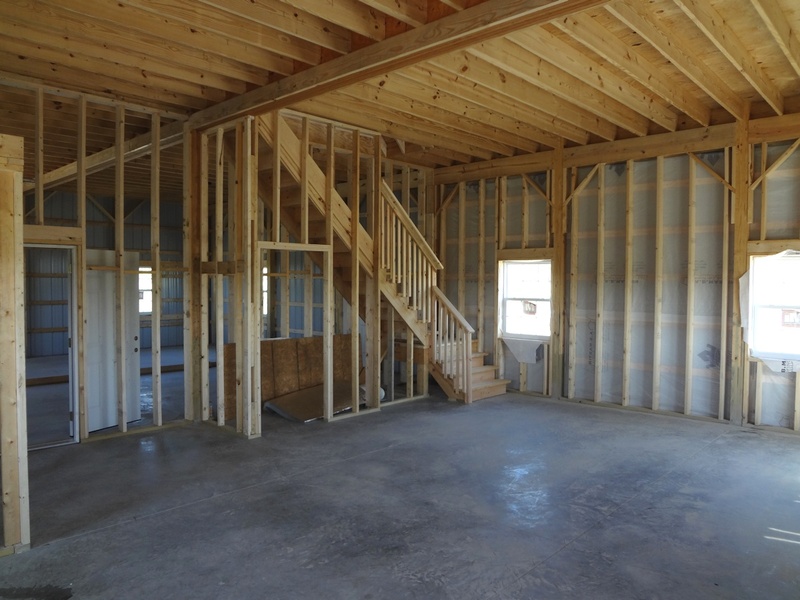 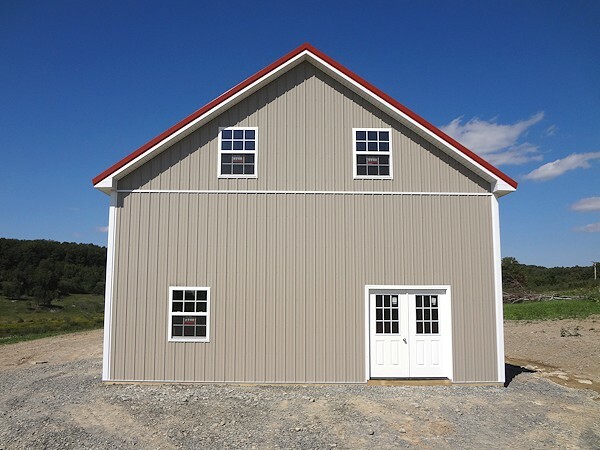 The barn is built with conventional stud frame on top of foundation. 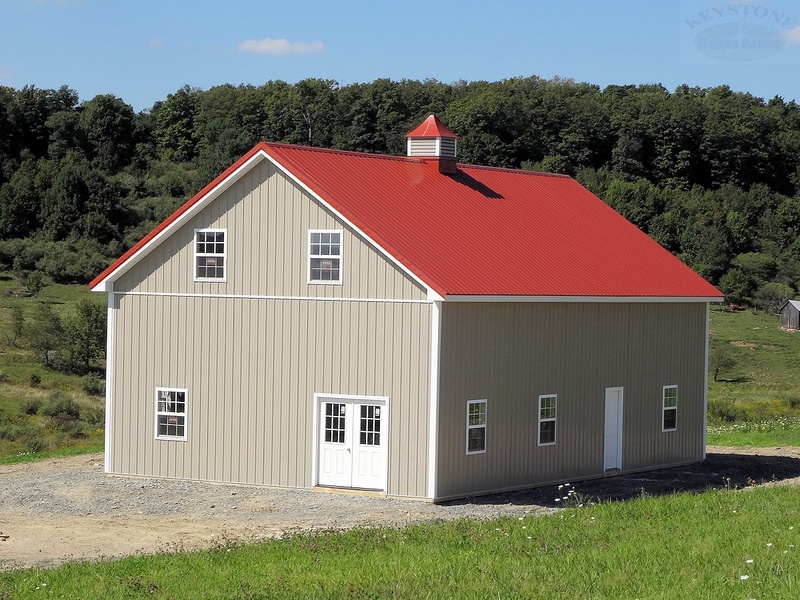 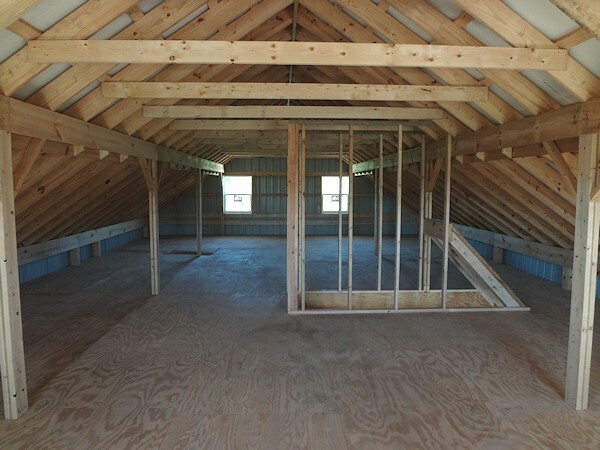 Loft and roof are built the same way as most of our other custom barns. 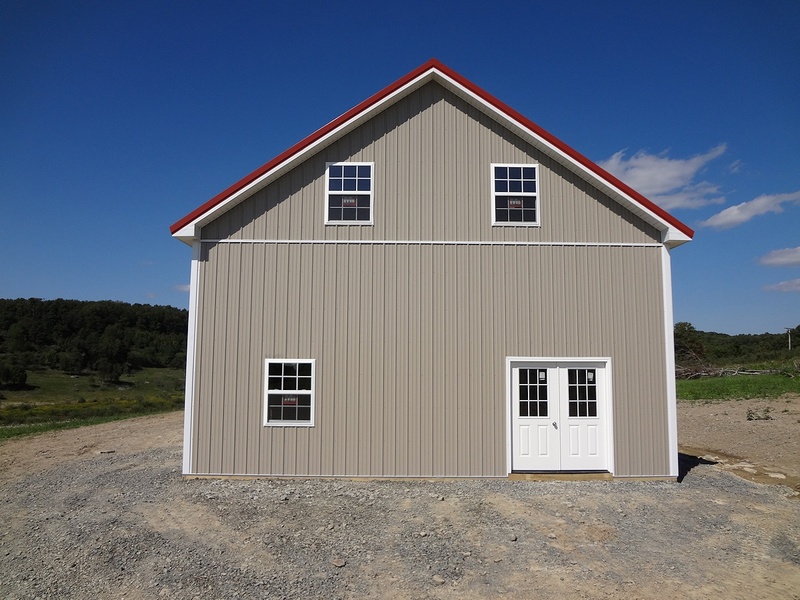 Metal siding and roofing were used on this particular building per customer's request.